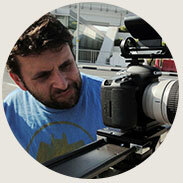 Charismatic filmmaker and educator Philip Bloom has become an icon for online filmmakers around the world. Known as one of the first filmmakers to adopt the cinematic style of DSLR cameras, Philip has consistently strived to ensure that emerging filmmakers put the story first. 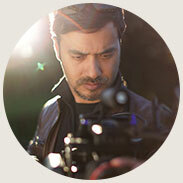 Better known by his YouTube alias ‘Devin Supertramp’, Devin Graham is a powerhouse of high-energy filmmaking. His online films have garnered more than 300 million views in less than four years and via this huge audience he provides filmmaking tutorials and behind-the-scenes clips. Host of popular online DIY filmmaking program ‘Film Riot’, Ryan Connolly is a well-known educator in addition to having a number of high-quality short films to his credit. When you’re talking sound effects there are few people as well known in the industry as author and sound designer Ric Viers. As the head of the ‘Detroit Chop Shop’ effects house he has recorded more than 100,000 sound-bytes for film, television and video games, and his books ‘The Sound Effects Bible’ and ‘The Location Sound Bible’ are a staple for sound engineers of all levels. 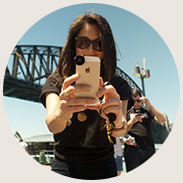 Producer, presenter, reporter, author and blogger – she has done it all. Olivia is best known for her time as the face and chief author of OliviaTech, which has seen her become a maven for all things gear-oriented and technical. 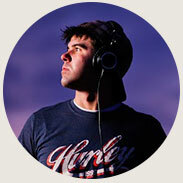 With more than ten years’ experience as a full-time musical and filmmaking educator, Clinton Harn is one of Australia’s most exciting independent DoP/filmmakers. 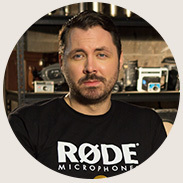 As the host of RØDE’s ’60 Seconds on Set’ series he has helped filmmakers come to terms with the world of audio. 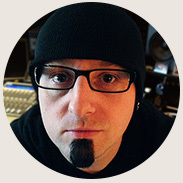 As one of the world’s premiere audio engineers, John’s esteemed career has seen him working with artists such as the Bee Gees, Michael Jackson, Celine Dion, Barbra Streisand, R. Kelly and many more in both studio and live sound settings. 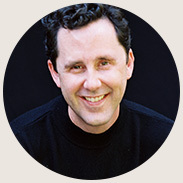 In addition to running RedDoor studios, John is an Assistant Professor at Middle Tennessee State University.